Gisele may get back to Sao Paulo Fashion Week! Gisele Bundchen can finally return to Brazilian catwalks. It is rumored that that the top is preparing to attend the next SPFW, again at the invitation of Colcci, which was brand poster girl for six years. The Colcci , in turn, confirms not – but does not dispute – information. With the 2014 summer campaign photographed recently, says the brand has not yet mounted the casting for the show of their winter collection 2014 which takes place between October 28 and November 1. According to information Matheus Evangelista to SiteRG , Gisele was already being tipped to return this since 2013 but the pregnancy of her second child made ​​the brand postpone the return. On occasion, the South African model Candice Swanepoel took over the post – she photographed campaigns and even participated in parades in Sao Paulo, all because Alessandra Ambrosio also went through a second pregnancy, and was removed from the catwalks. Information and internal conversations within the group itself AMC Textile, which the Colcci part, has confirmed the rumors. Let’s wait for more! 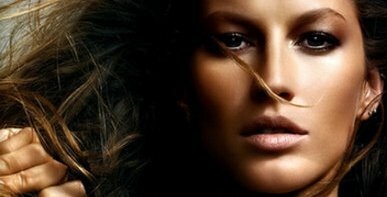 If the top Brazilian Gisele Bundchen, one of the 100 most powerful women in the world by Forbes, was a company with shares traded on the stock exchanges of New York (New York Stock Exchange), today it would be valued between $ 250 million (£ 530 million) and U.S. $ 450 million (£ 954 million). The information was calculated exclusively for FORBES Brazil by American economist Fred Fuld, the creator of Gisele Bundchen Index. The information is revealed exclusively by FORBES Brazil which hit newsstands today. Gisele Bündchen, of course! For the second year in a row, the Brazilian beauty is the only supermodel to be named on Forbes‘ annual list of the ‘World’s 100 Most Powerful Women,’ ranked No. 95 among the lineup of influential entrepreneurs, CEOs, politicians and philanthropists. And what exactly makes Gisele so much more powerful than the rest? Well, to start, the super is still one of the most sought after campaign stars across the fashion and entertainment world, currently posing for such premiere brands as Chanel Beauty, David Yurman and most recently, H&M. On top of that, the business-savvy Brazilian continues to earn a cut on Ipanema flip-flops and other products bearing her name, along with her independent ventures like her Sejaa skincare line. Add that to the fact that the fashion icon also serves as an ambassador for the U.N. Environmental Program, and it’s easy to see where Forbes is coming from— not that we’re surprised in the slightest! In recent years, Gisele has become something of a Forbes staple, earning such titles as the ‘World’s Highest-paid Supermodel’ and the ‘World’s Highest-Paid Celebrity Couple.’ While she remains the sole catwalker to grace the power round up, she wasn’t the only fashion tastemaker to do so. Returning to the list with Gisele in 2013 was Diane von Furstenberg, Anna Wintour and Miuccia Prada, as well as newcomers Tory Burch, Spanx founder Sara Blakely and Zara founder Rosalia Mera. Congratulations to Gisele and all of her beautiful, supermodel power! Gisele ranked 5 in the list! The highest paid model in the world makes more money out of walkways today. In addition to its line of beauty products Sejaa, licensed products with their name together generate nearly $ 1 billion per year. This includes sandals Ipanema Gisele Bündchen collection for C & A and Gisele Bundchen Brazilian Intimates, a joint venture it created in partnership with Hope. Johan Lindeberg may just be the most popular man in fashion right now. And the busiest. Just last week, the BLK DNM designer helped launch Absolut’s new luxury vodka, Elyx, as its creative director, and threw a party for the drink’s first ad campaign, starring Chloe Sevigny, which he also shot. And last night, Lindeberg was feteing yet another celeb-fronted campaign he lensed–this time for BLK DNM, starring the incomparable Gisele (and her impressive rear end). In fact Lindeberg is so real, that the two decided to forgo any hair and makeup for the shoot–which they finished in two hours. It was a nice change of pace for the supermodel who said she’s sick of how unrealistic some fashion editorials and campaigns look. Hopefully more creative directors will follow Lindeberg’s lead and cut down on the retouching. I mean, when you’re shooting Gisele (who we can attest is even more stunning IRL) you really don’t need it. Congratulations are in order for Gisele Bündchen – again! The leggy supermodel is the only model named to Forbes’ newly released 2013 World’s Most Powerful Women list, making her the most powerful model in the world. On Forbes’ annual list of 100 influential women, Gisele ranked No. 95 among iconic entrepreneurs, CEOs, politicians and philanthropists. She made the list last year, too; Forbes seeks out “change-agents” for their list, so surely they were attracted to Mrs. Brady’s ambassadorship for the U.N.’s Environmental Program just as much as they were her catwalking skills. Gisele’s influence is also based on her massive wealth: She topped Forbes’ Top-Earning Models List in 2011. The mag also named her and hubby, Tom Brady, the world’s highest-paid celebrity couple that same year. Gisele may be the sole model to make Forbes 2013 power ranking, but plenty of other fashionistas made the list: Spanx maven Sara Blakely; Miuccia Prada; Tory Burch; Zara founder Rosalia Mera; Diane von Furstenberg; and Anna Wintour, who jumped from No. 69 in 2011 and No. 51 in 2012 to No. 41 this year (we’re pretty sure we can chalk her promotion up to her new job).